IP finance: Tobacco brands in Australia: will there be a compensation bill? Tobacco brands in Australia: will there be a compensation bill? Current Australian plans for plain packaging of cigarettes have attracted considerable attention and have generated no little heat (for a recent example, see this piece by the British Brands Group, hosted on the IPKat, together with readers' comments). In the contribution which follows, Christopher Pett (who has been practising as a patent and trade mark attorney in the United Kingdom for over 30 years and is now a Consultant with Dehns) looks at some of the issues, including one that will be of particular interest to readers of this weblog, the prospect of brand owners being able to secure financial compensation for discriminatory treatment under a bilateral investment treaty between Australia and Hong Kong. 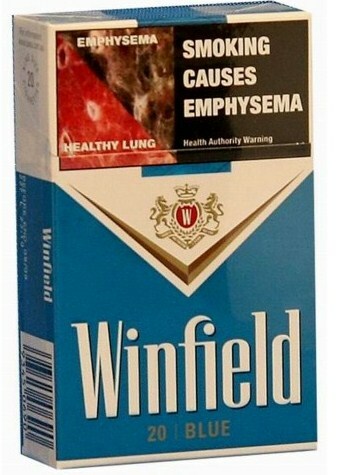 "Tobacco companies fuming down under? 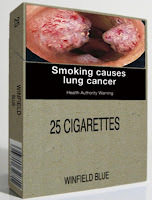 Recent plans announced in Australia have seen the tobacco industry 'down under' move into a frenzy. 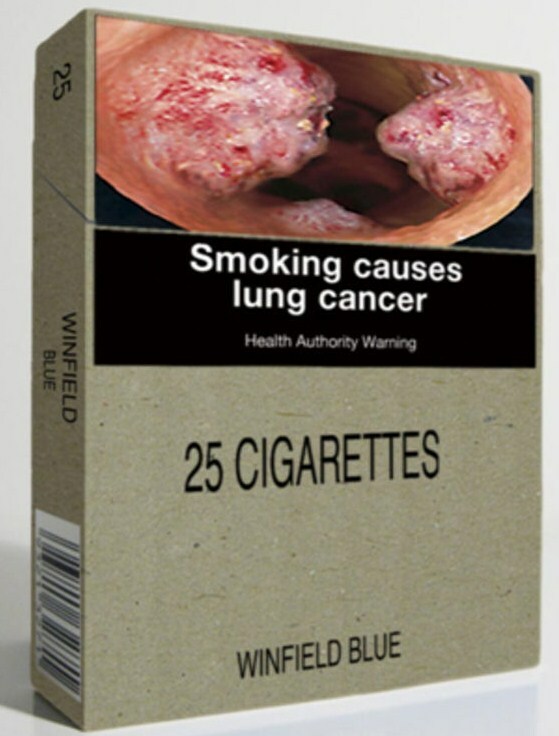 The industry is one of the most highly regulated and cigarette packaging in Australia already has to bear unpleasant images of and information about the effects of smoking. Since these were introduced, the number of smokers has dropped by a quarter. Plans are for this to continue along with television adverts, including films of smokers in distress in hospital. What has really upset the industry are intentions to prohibit the use of logos, colours, brand imagery or promotional text on tobacco product packaging from 2012. These will require that all brand and product names be displayed in a standard colour, font style and position over a dull olive-coloured background. The policy, known as plain packaging, aims to deter an impressionable clientele by removing any glamour in smoking. Similar legislation in the UK, Canada and New Zealand is being considered, so the situation is being watched with interest. "the use of a trademark in the course of trade shall not be unjustifiably encumbered by special requirements, such as...... use in a special form or use in a manner detrimental to its capability to distinguish the goods........of one undertaking from those of others...". The tobacco companies argue that the new move will illegally diminish the value of their trade marks and claim that plain packaging contravenes the agreement by placing restrictions on the use of trade marks. The Australian government has countered by saying that they have the right to take measures necessary to protect public health and claim to have taken legal advice. The Australian Trade Minister has said that product names would still be permitted, though in a standard colour, position, font size and style and that the measures would be implemented in a way consistent with their intellectual property, trade and investment obligations. Are the government requirements a justifiable encumbrance or does the industry's real problem lie elsewhere? To suggest that there will be no branding on the packaging is of course absurd. The primary function of the words 'trade mark' - to indicate origin - will remain. Choice of manufacturers will continue and branding will inevitably still be permitted to allow consumers to make choices between styles. The threat in plain packaging arises because, with all the other advertising restrictions that exist, packaging is the most important way tobacco companies seek to communicate with the consumer and differentiate their products. If all the glitz in branding were removed, consumers might well be less attracted to the more profitable premium brands. The manufacturers must also be concerned that the measure will see a further drop in consumption. Is the argument about diminishing the value of the trade marks not simply a worry about a loss of profits in disguise? The manufacturers are planning an advertising campaign deriding Australia as a nanny state. They will play on consumer fears by suggesting that alcohol will become the next target. BAT, one of the largest cigarette firms in Australia, has said it will challenge the proposals. Philip Morris Asia (PMA), Hong Kong-based parent of Australian company Philip Morris Limited (PML), claims the proposals will damage its intellectual property and has started the ball rolling by taking legal action under a bilateral investment treaty that Australia has with Hong Kong. The rules of this are intended to protect Asian companies against any discriminatory treatment. PMA say that the forced removal of trade marks and other valuable intellectual property is a violation of its property under the treaty and will seek compensation. PML has well-known brands in Australia and claims that the plans will prevent it from using these brands to differentiate from competitor brands, effectively turning tobacco products into a commodity. If the word marks can still be used, how can this be true? It has also thrown into the argument the belief that the government has failed to demonstrate that the policy will stop people from smoking. If it will not, then what is PML afraid of? The parties are commencing negotiations, as they have to under the treaty. If these fail, the parties must proceed to arbitration under the rules of the United Nations Commission on International Trade Law 2010. Some interesting months lie ahead". In Canada, the tobacco companies have been sued by British Columbia (a large province) for recovery of health care costs associated with illnesses caused by smoking. The third party claim was recently struck out by the Supreme Court of Canada. My man with the orange finger tips and hacking cough says that he looks forward to the return of cigarette cases - so much more civilised!